When you visit Timber Creek Dental for the first time, you will receive a warm greeting from our team, who will ensure that you have everything you need as a new patient. This may include your insurance information, medical history, and any X-rays you have received within the past six months. 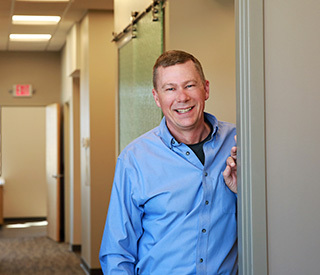 When you visit our office for the first time, Dr. Mark R. Sheils will perform a comprehensive dental exam to assess your oral health and determine whether you may need treatment in the near future. If you are troubled by a pre existing dental condition, our dentist will help you create a treatment plan and schedule your next visit. We are happy to answer any questions or concerns that you may have. It is our priority to answer all of your questions so that you can make the best decisions for your oral health. We invite you to review the following information to help you determine which dental services might be best for your smile. Is my insurance accepted at your office? We accept most dental insurance policies. I don’t have dental insurance. How can I afford treatment? Dental insurance is not required at Timber Creek Dental. We provide service to all patients with a number of payment options including cash, check, and credit cards. Please feel free to contact our office to arrange a financial plan. A dental implant is comprised of a post, which is a screw that is surgically implanted within the jawbone, along with a dental restoration device. A dental implant replaces the root and crown of a missing tooth to provide a long-lasting, stable, and natural looking smile. Dr. Sheils provides both single and multiple tooth replacement. Depending on your personal needs, your dental implant may include a crown, bridge, or complete or partial denture. Our dentist will explain your treatment options during your initial consultation, and help you select the implant that is best for your smile. The average person does not have enough space in their mouth for a third set of teeth. When wisdom teeth begin to grow in, they can push other teeth out of alignment or become impacted, creating problems for dental health. We remove wisdom teeth before they can affect the rest of the smile. Periodontics is the branch of dentistry concerned with gum health. When gums are not properly cared for, they can develop harmful conditions such as periodontal disease and recession. Dr. Sheils practices periodontics to prevent and treat these conditions so that you can continue to enjoy good oral health. Periodontal disease is a chronic infection of gum tissue caused by untreated plaque and Calculus (tartar) along the gum line. Initial symptoms include red, inflamed, and bleeding gums, but can progress to gum recession, deep pockets along the gum line, and tooth loss. We encourage you to visit Timber Creek Dental if you notice a change in your gum health. Dental pain can be caused by many factors including tooth sensitivity, a food particle stuck in the teeth, dental injury, tooth decay, or infection. If the pain is deep, persistent, and accompanied by swelling of the gum tissue, it may be a sign that the innermost layer of the tooth is infected. In this case, our dentist may need to perform a root canal treatment to save the tooth. If you have a question about your oral health that has not been answered, please feel free to contact our dental office in Fargo. We are happy to assist you over the phone or help you arrange a time to see our dentist. For more information please call Timber Creek Dental at (701) 232-6683.